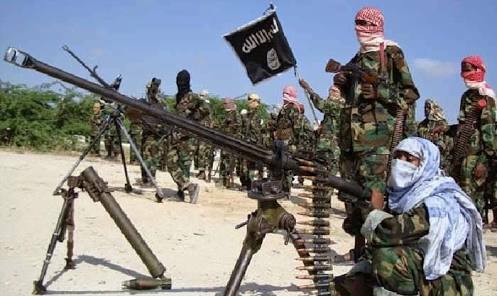 Many people were killed Saturday when suspected Boko Haram insurgents invaded Gudunbali town, the headquarters of Guzamala Local Government Area, Borno State, a security source said. The renewed hostility has heightened fears among residents who had started going back to their ancestral homes after a long stay at IDP camps in Maiduguri. A security source said the insurgents invaded the town where fierce fight ensured between them and troops for several hours. But the troops were allegedly overpowered I the wee hours of the morning, allowing the insurgent the run of the town. “As I am speaking with you, insurgents are moving about freely at the headquarters of Guzamala LGA, they have reclaimed the town,” the source said. “The attacks started last night and the insurgents burnt down the houses recently reconstructed; I believe many people may have been killed. Another security source said there was casualty on the sides of Nigerian troops and the terrorists, adding that some civilians were caught in the crossfire. “The good news is that there was reinforcement for the ground troops and fighter jets were also deployed, I can assure you that peace will be restored,” he said. The Deputy Governor of Borno State, Usman Mamman Durkwa, confirmed that there was a Boko Haram attack on a military base located in Gudumbali, the headquarters of Guzamala Local Government Area of the state. Despite claims by the Federal Government that the terrorists have being technically defeated, they continue to wreak havoc on communities and military bases in the north-east. Just last month, there were reports of Boko Haram attacks on a military base in one of the communities of Guzamala council area where over 40 soldiers were allegedly killed. The military is yet to release a statement on the latest setback. 0 Response to "Many Feared Dead as Boko Haram Attacks Borno Villages"